WeatherBoard, one of the biggest brand new tweaks that we’ve seen hit iOS 8 thus far, is now available for purchase on Cydia’s BigBoss repo for $2.49. 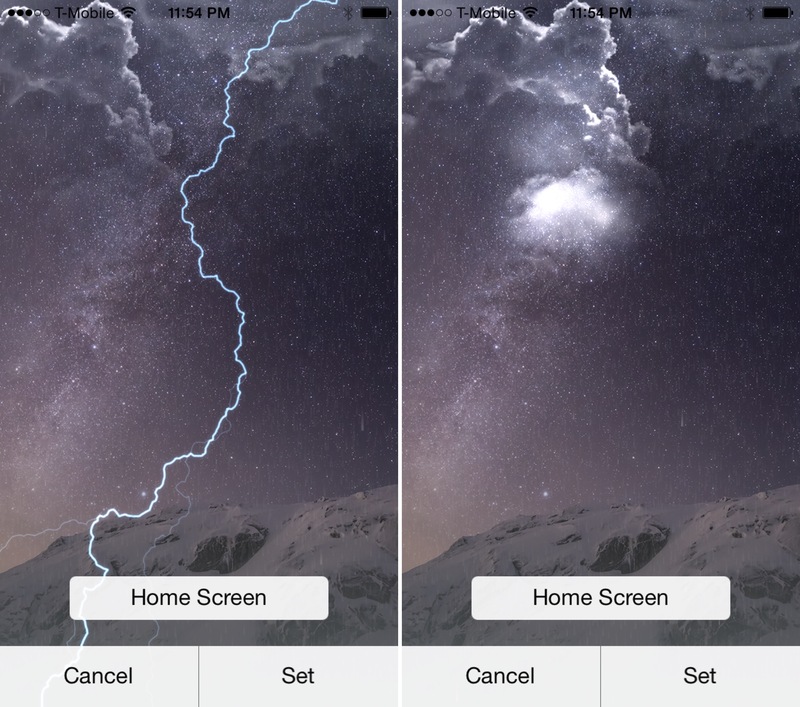 It’s an awesome release that brings impressive weather effects to the iPhone’s Home screen and Lock screen. WeatherBoard allows you to use custom weather related Wallpapers (over 80 of them) along with weather overlays that can use your existing wallpaper. The tweak is even capable of providing weather effects based on what’s happening in a specific location. Have a look at our video walkthrough after the break to see WeatherBoard in action. Once you install WeatherBoard, you’ll need to head over to the stock Settings app to configure its settings. 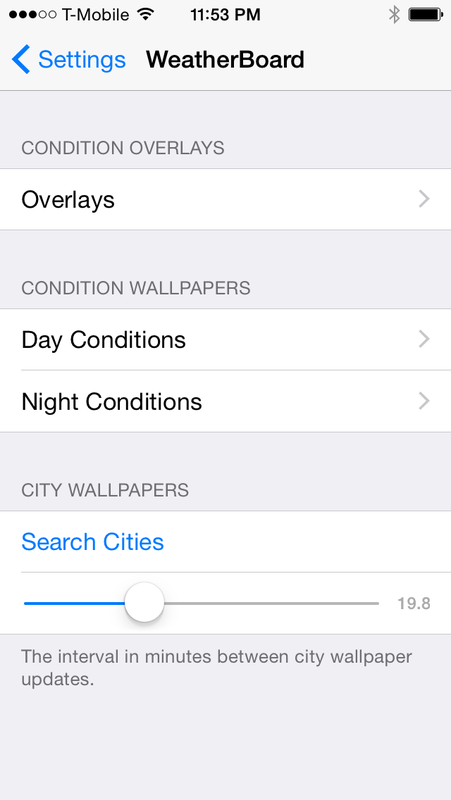 There are sections for Condition Overlays, Condition Wallpapers, and City Wallpapers. Along with the condition Overlays comes condition wallpapers. These wallpapers will replace the wallpaper currently on your device and couple them with any of the conditions mentioned previously. 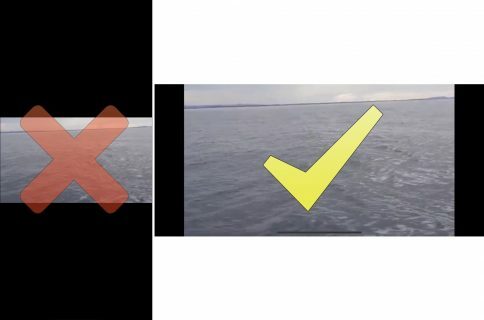 You can choose between both day and night conditions, which doubles the amount of available wallpaper. Lastly, you can choose City Wallpapers. City Wallpaper allows you to use wallpaper coupled with current conditions happening in a specific city. The conditions will update based on the real weather conditions in the city you select, and you can designate specific update intervals and watch the weather update as conditions change. Needless to say, WeatherBoard is an impressive jailbreak tweak that makes it easy to gain a custom look to your Home and Lock screen wallpaper. Its built using native animations, and its settings look very native as well. 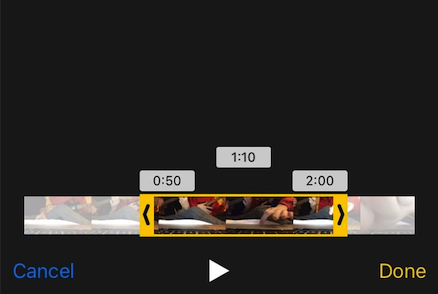 Watch the video above to see how well this tweak performs, and head over to Cydia’s BigBoss repo to try it for yourself. You can download it for $2.49, which is a bit higher than most tweaks, but still totally worth it if you ask me. What do you think about WeatherBoard? Sound off down below in the comments section.